OTTAWA -- Several Indigenous leaders say former attorney general Jody Wilson-Raybould was deeply brave in her explosive testimony on the SNC-Lavalin affair, but they're steering clear of criticizing the Trudeau government. Wilson-Raybould had been the highest-ranking Indigenous person ever in the Canadian government, but she was demoted from the justice ministry to veterans affairs in January and quit the cabinet in mid-February. On Wednesday, she told the House of Commons justice committee she faced relentless, inappropriate pressure from Trudeau and several top aides, the Privy Council Office and the office of Finance Minister Bill Morneau, asking her to politically interfere in a criminal prosecution of SNC-Lavalin. 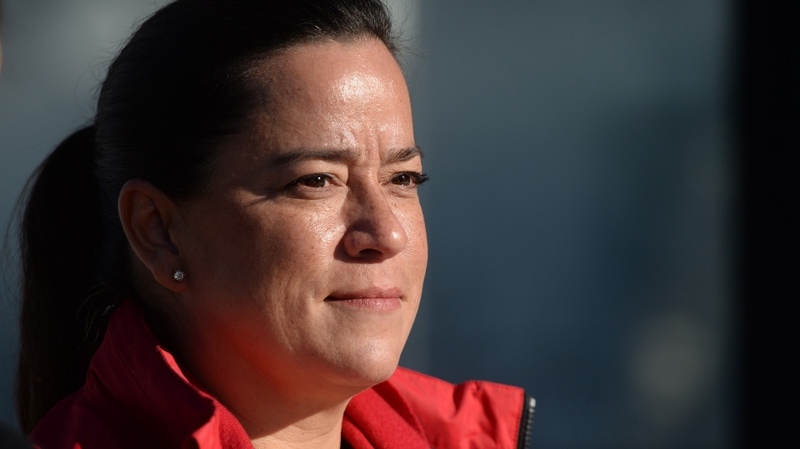 The Federation of Sovereign Indigenous Nations (FSIN) executive issued a statement of support Thursday, applauding Wilson-Raybould for displaying ethics and integrity and calling her a role model for all First Nations and future generations. "We want to thank Jody Wilson-Raybould for her courage and strength to stand up for what was right," said FSIN Chief Bobby Cameron. "As a First Nations woman, she displayed nothing but professionalism, integrity and most of all truth in her testimony yesterday." His statements were supportive, but did not weigh in on the substance of Wilson-Raybould's testimony. National Chief Perry Bellegarde of the Assembly of First Nations said he was "elated" to watch Wilson-Raybould sworn into cabinet in 2015 and felt her testimony Wednesday was a show of integrity, strength and courage. He, too, sidestepped commenting on the actions of the Trudeau government, saying only that he liked her suggestion that Parliament should review the notion of splitting the role of attorney general from the justice portfolio, as is done in Britain. "Something good can come out of this, because we continually look for processes that unite rather than divide. We need to look at ways to build a better country for all that respects the rule of law, not only common law and civil law, but one day natural law, Indigenous law as well." Meanwhile, Clement Chartier, president of the Metis National Council, took issue with the notion that just because Wilson-Raybould is an Indigenous woman that the SNC-Lavalin affair has become an Indigenous issue or one affecting the Trudeau government's Indigenous agenda. Chartier said Indigenous leaders are focused on working toward reconciliation through measures such as new legislation to revitalize Indigenous languages and to keep Indigenous children out of foster care. He went a step further and expressed support for the work done by the Trudeau government on reconciliation already. "I don't think the press should be doing what they're doing in making it an Indigenous or non-Indigenous issue. To me, it's not," he said of the SNC-Lavalin affair. "Reconciliation is real and we're going to move forward with this prime minister for as long as he is prime minister and with this government for as long as they are in government. And personally, with the record that we have, we wish them well."